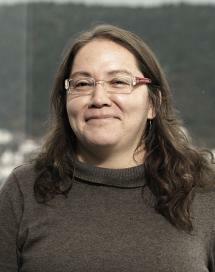 LawTransform researcher Camila Gianella was part of a research project aiming to assess how people with TB are addressed in Peru. The project resulted in videos explaining the impact of TB and access to healthcare in remote communities. This video features the testimony of Mr. Angel, indigenous leader of Nomatsiguenga community of the Selva Central. Mr. Angel tells us his experience as a tuberculosis (TB) patient, making evident the limitations of the Peruvian health system to serve populations that are located far away, which are culturally different and cannot access basic health facilities for early detection and diagnose of TB. His testimony also shows the consequences of not starting treatment on time. This video presents the testimony of Alejandro Maguiña Quintana, Cutivereni community health worker, in Satipo province, in the peruvian central jungle. Community health workers are chosen by their community to organize health promotion activities and disease prevention activities in coordination with health personnel and other institutions. In the rural areas of Peru, community health workers often take on other responsibilities, such as transferring patients outside of the community for health care, and following-up on their condition in the communities. Their work is voluntary. They do not receive a monthly salary from the Ministry of Health. This video shows the situation of human resources working on the prevention, diagnosis and treatment of tuberculosis in Satipo province, in the Peruvian central jungle. In the Junin region there are no second level health facilities in rural areas and 59% of health workers providing primary health care work in urban areas. Adequate working conditions are not guaranteed in health posts and health centers in rural areas. Health workers face lack of resources, infrastructure and training. In this video, Mayer Arouna’s attestation is presented. From his experience, he tells us about the health system’s limitations in diagnosis and treatment of tuberculosis (TB), which range from difficulties to get a timely diagnosis in rural zones to lack of economic and financial resources yo travel to health establishments that provide treatment for TB. This entry was posted in Health & Law, Indigenous rights on February 4, 2019 by AnnaG.